A unanimous decision by the Indiana Education Employment Relations Board, or IEERB, ended any hope of Muncie teachers working under the school board’s version of a new teachers contract. 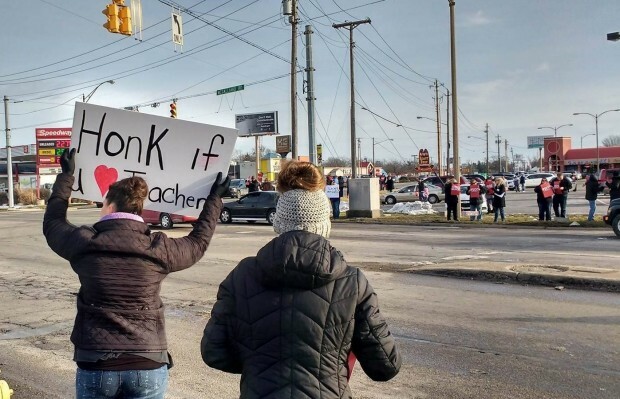 IEERB voted last week to uphold the state fact finder’s decision, meaning the teachers will work under a contract written by the Muncie Teachers Association. MTA President Pat Kennedy had a message for teachers. MCS Superintendent Steven Baule was not as enthusiastic, saying this means more difficult decisions will have to be made. Tuesday’s decision means teachers will not receive a pay raise for the two years the contract covers, and there will be an increase in insurance premiums. However, Kennedy says the increase in money coming out of teachers’ paychecks is acceptable to teachers, but the appeal process itself may have already caused unnecessary damage. By Kennedy’s count, 75 teachers left MCS since the 2016-2017 school year began. While Tuesday’s decision was not what Baule wanted, he did say that it was no reason for the public to panic. “I don’t think there’s a need for immediate concern. We’re still going to continue to offer the best school we possibly can afford. Baule went on to say this decision would not affect any plans of building a new middle school as funding for that project is tied to a referendum. The school board tabled a discussion about a referendum at a previous meeting.